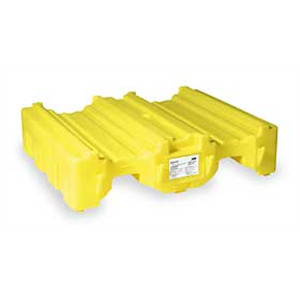 Each Poly-Stacker holds two 55-gallon drums and can quickly be stacked with a forklift. 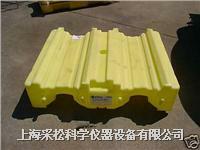 Any spills from the second and third levels fall into the dispensing well for containment and easy clean-up. 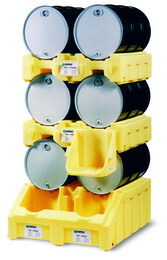 Combined, Poly-Racker and Poly-Stacker make up the most efficient drum storage and dispensing system you can buy.